Employees often feel pressured to look the other way when sexual harassment occurs. If they voice their concerns, they may be told that the offensive behavior was nothing to get upset about. However, sexual harassment should never be ignored or condoned. If you feel that you’re being sexually harassed in the workplace, you can turn to a sexual harassment lawyer serving San Jose for help. Your labor law attorney may recommend that you keep detailed records of all instances of offensive behavior to support your claim. Sometimes, sexual harassment is overt. You may have been asked for a sexual favor by a supervisor in exchange for a raise or a promotion. Or, you may have been told that unless you agreed to the sexual favor, you would be fired or demoted. Employment law recognizes this type of discrimination as quid pro quo sexual harassment. Although it may seem that it would be difficult to prove what someone else has told you, you’ll find that a sexual harassment attorney can bring powerful investigative tools to the case. Other types of sexual harassment are less obvious than quid pro quo sexual harassment, such as being subjected to offensive images or language . For example, a co-worker or supervisor may have sent an email containing inappropriate images or language. A co-worker might hang an offensive calendar in a workspace. These are all signs that you’ve been sexually harassed at work – even if the images were not sent directly to you. Additionally, bear in mind that some types of language may constitute sexual harassment even if it is not sexual in nature. For example, a supervisor might call the female employees by non-sexual, yet offensive names, while refraining from doing so to the male employees. This is also a form of sexual harassment. If you feel uncomfortable going to work, you may be the victim of sexual harassment. Employment law recognizes that not all acts of sexual harassment may be directed at a particular victim. Instead, your sexual harassment attorney may file a claim on your behalf based on the maintenance of a hostile work environment. If you’ve recently been fired and you feel the action was unjust, you may wish to consider consulting an employment lawyer to determine whether you were the victim of wrongful termination. As your labor law attorney near San Jose can explain to you, most jobs are based on at-will employment. This means that as long as an employee is not fired for an illegal reason, an employer may fire him or her without having a good reason or even having a reason at all. Your employment lawyer can identify exceptions to this rule and file a complaint on your behalf if you were indeed wrongfully terminated. You may not be an at-will employee if you signed a written contract when you took the job. 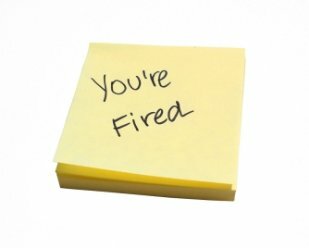 Your wrongful termination lawyer can review your contract to determine if there is a clause that spells out legitimate reasons for the firing. However, even if you lack a written contract, you may be able to prove wrongful termination based on an implied contract. An implied contract occurs when your employer says something or acts in a manner so as to make you believe that you can continue your employment for a certain period of time. You may have grounds for a wrongful termination complaint if your employment lawyer determines that your employer may have breached the duty of good faith and fair dealing. For example, your employer may have fired you to prevent you from collecting sales commissions. Or, you may have been repeatedly transferred to dangerous or undesirable assignments in an attempt to force you to quit before you could collect benefits. Violations of public policy can vary from state to state. For example, you might be protected from being fired because you volunteer as a firefighter. You are also protected from termination because of whistleblowing, taking time off to vote or serve on a jury, and serving in the military or National Guard. 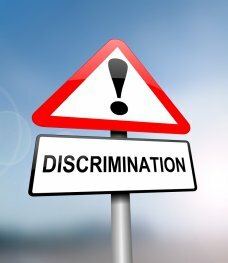 Wrongful termination because of discrimination is another reason to consult an employment lawyer. If you feel you were fired because of your gender, religion, age, disability, race, color, national origin, or pregnancy status, your lawyer can file a complaint with the appropriate agency and then help you file a lawsuit against your employer. Employment law is often confusing. It can be difficult to know exactly which laws and regulations apply to your situation. This is one way in which a labor attorney in San Jose can provide invaluable help. Your sexual harassment attorney can help you understand the laws that are applicable to you and what your legal rights are. A lawyer can also provide advice on how you should deal with your employer and other relevant parties during the legal process. For more tips on obtaining legal advice from a sexual harassment attorney, you can watch this video. This expert discusses the importance of having someone with the right knowledge and experience on your side, and how an attorney can sort through evidence and address potential witnesses. Did you know that the majority of workers who suffer from sexual harassment never report these incidences, either to their employers or to a sexual harassment attorney? You don’t have to let your tormenter get away with crude behaviors; you do have legal rights and recourse. If you’ve suffered from unwanted advances or other types of sexual harassment at work, it’s in your best interests to contact a sexual harassment attorney in San Jose. Your employment harassment lawyer can inform you of everything you need to know to successfully handle your claim. The first step you should take after experiencing sexual harassment is to find your company’s policy on these types of behaviors. 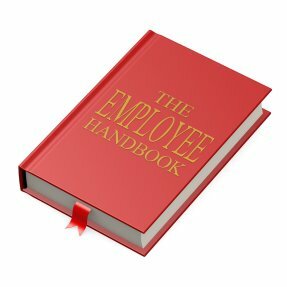 Check your employee handbook, union contract, postings in the break room, and similar areas, or ask your point of contact in the human resources department for a copy of the policy. The policy should outline the exact steps you need to take to report the incident. If the person to whom you’re supposed to report the incident is the person who has harassed you, go to that person’s supervisor. If your company lacks a sexual harassment policy, you can report the incident in writing to your supervisor or ask your sexual harassment attorney for guidance. When dealing with sexual harassment, it’s all too common for the victims to quit out of fear or shame. While it’s your right to quit any time you wish, you should be aware that in doing so, you may forfeit your right to file a sexual harassment lawsuit. If your employer has a sexual harassment policy, you must follow the steps outlined in that policy and allow your employer the chance to take appropriate disciplinary action . If you quit before your employer has this opportunity, you may not be able to file a lawsuit. However, if you feel that your physical safety is in jeopardy or your mental health is at risk, you might decide that it’s worth it to find a new job. Your sexual harassment attorney will need thorough documentation of all incidences of sexual harassment. Carry a small notebook around your office with you and write down the dates and times of all incidents, as well as what happened. Report each incident to your supervisor promptly.